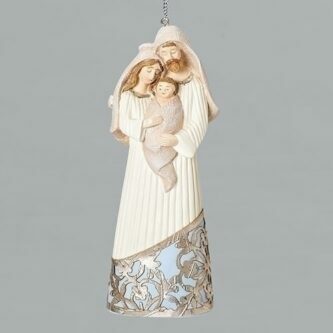 This Holy Family Ornament has stunning lazer cut details and will make a lovely addition to your Christmas tree! 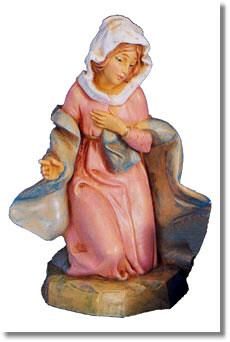 Beautiful Mary Kneeling as she gazes at her newborn son, Jesus. 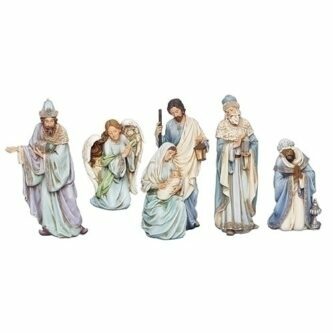 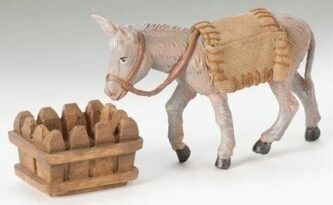 A must have piece for your Nativity collection!